Initially my #cyberpunkjam entry, now finishing new version to be released on Android, iOS, PC. In CyberSentinel you take the role of a hacker, who writes programs to steal data from secure systems in a kind of '80s/'90s stylized version of cyberspace. You don't need to know any programming language, because programs are created using a variation of Alan Turing's state machine diagrams via a touch-based 3D interface. Its implementation is easy to use, yet complicated enough to teach programming basics. 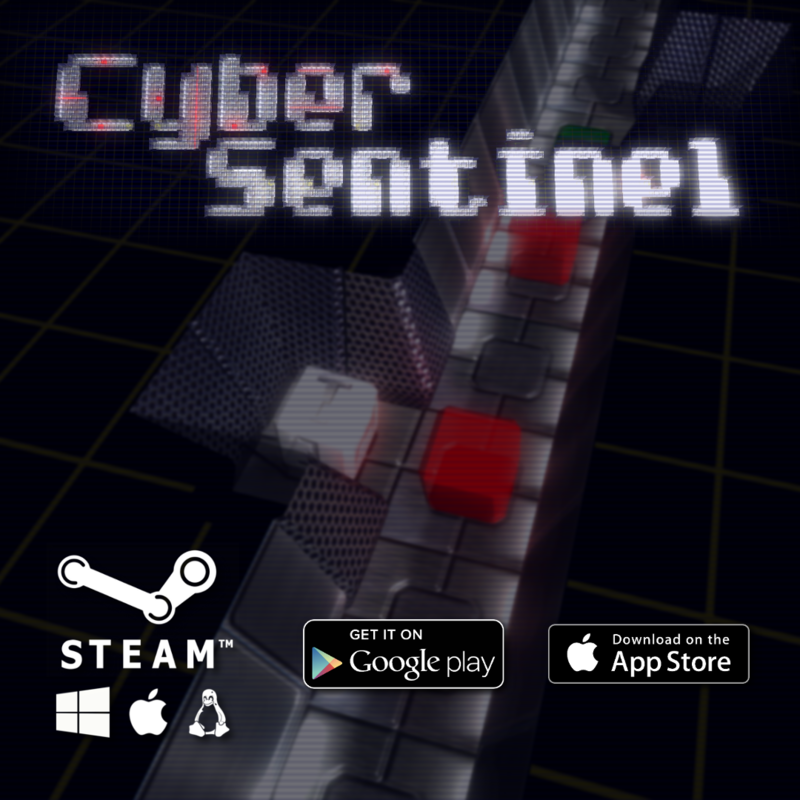 On March 1st I've released Cyber Sentinel - design-based programming puzzle game about cyberpunk hacking - on mobiles (iOS and Android) in addition to earlier Steam release. Cyber Sentinel is -50% off on Steam! If you like programming puzzle games like Human Resource Machine then this is for you! Cyber Sentinel game was just released on Steam for Windows, Mac and Linux! After about two years in the making Cyber Sentinel will finally be released on July 29th! Big surprise for everyone waiting for Cyber Sentinel - you can buy and download it early DRM-free and then get free Steam Key! Hi, I don't know if you will get any notification but I just wanted to let you know that game is now available to buy and download Build A greenlight Bundle here: Groupees.com . If you can please also vote for games in this bundle on Steam Greenlight. Thanks and have fun playing.